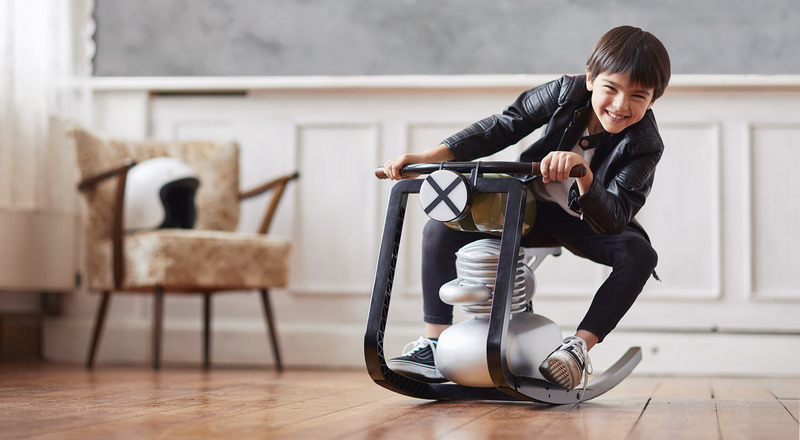 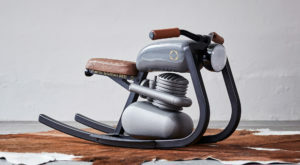 Moto Rocker will make your kids much happier! 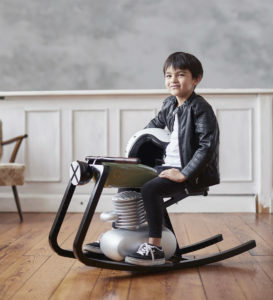 Felix Monza has just made our kids life way better with its Moto Rocker, a downscaled motorcycle intended for those kids that like to emulate their father when riding a motorcycle. 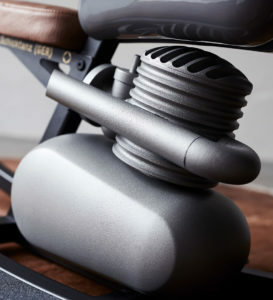 The Moto Rocker is built in Germany, and Felix will make sure every tiny detail of the Moto Rocker fits the standards of custom motorcycles. 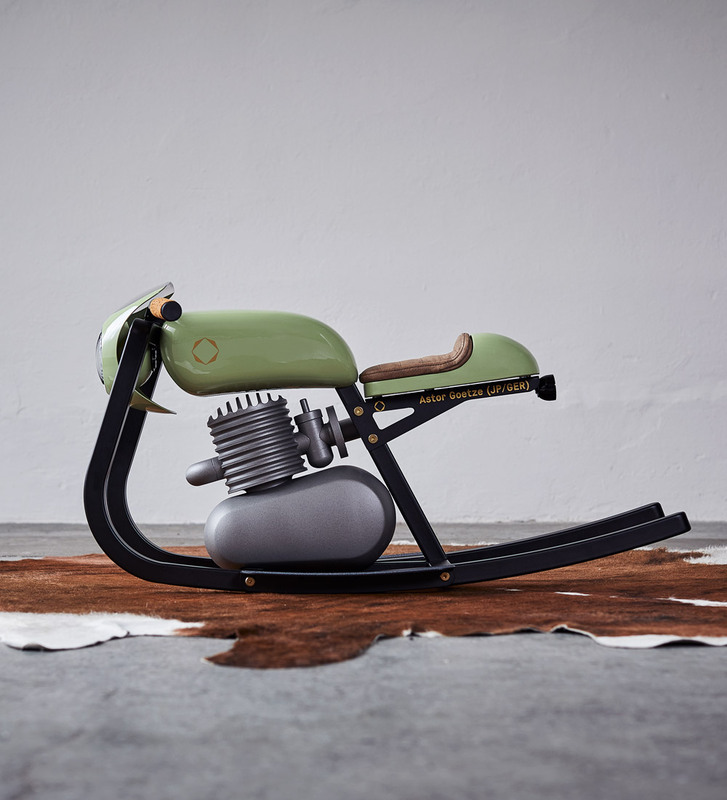 All details of an actual motorcycle are designed and applied to the Moto Rocker to mimic the true feeling of riding, and it even has a single-cylinder engine with cooling fins. 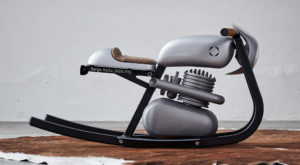 The handmade seat is fabricated with genuine leather, and for bigger customization level, every rider‘s name is placed on the frame bracket with the serial number and version details making it their own. 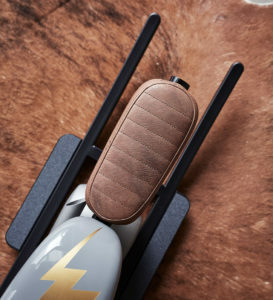 Choose between cafe/brat or track style depending on the type of flooring in your living room. 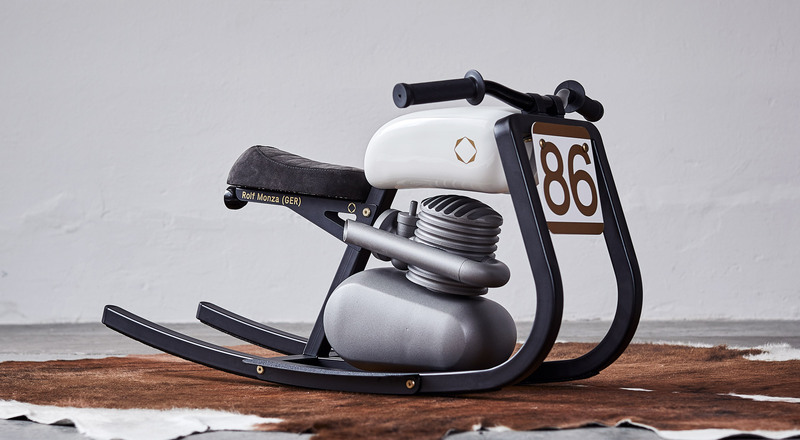 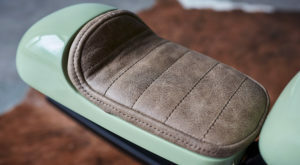 The Moto Rocker is made of steel, leather and bio-plastic, a detail that shows just how dedicated to the environment Felix Monza is. 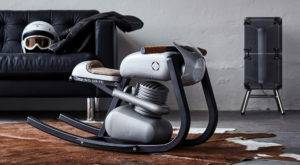 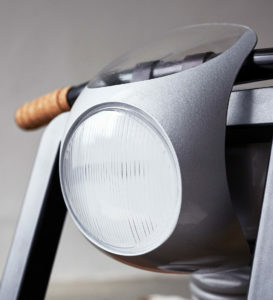 Customized products will take up to 10 weeks before being ready for delivery, and Felix says that each unit comes preassembled, and is suitable for kids of 1 and a half to 4 years of age, with a maximum weight of 50 kg. 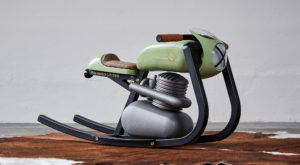 If you’re looking to give your kid a special gift, then look no further and contact Felix Monza by clicking here.